In the Fall of 2009, Coach Berger stepped onto the field to coach his very first Reavis Work to Play practice. 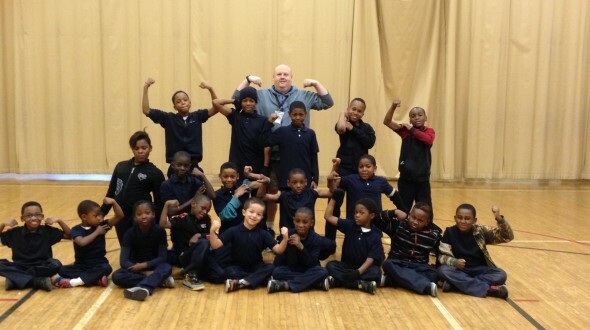 Five years later, the same commitment and passion drives him to open up his gym doors at 7am three days a week, 24 weeks a year in order to welcome the Reavis students to the fun and engaging outlet of the Work to Play Program. Over his years of service to the Reavis students and families through coaching the Work to Play team, Coach Berger has consistently embodied the ideals of an Urban Initiatives coach: Fun, Teamwork, Commitment, Passion, Initiative. When visiting one of Coach Berger’s practices, you are guaranteed to hear a familiar sounds no matter the time of year, soccer players laughing! Through his years of experience, Coach Berger knows how to make his practices fun and active. Games like Dog Catcher, Knockout, Traffic Control, and Number Game keeps the students coming back to every practice ready to have a good time. Not only does Coach Berger expect to see daily teamwork in his players, he also exhibits the value of teamwork in how he works with teachers at Reavis and other Urban Initiatives staff. By collaborating with teachers of Work to Play students on a weekly basis, Coach Berger collects Work to Play forms that keep him updated on how students are doing in the classroom so he can hold them accountable on the soccer team as well. Coach Berger also demonstrates his teamwork by hosting one or two game days each season. He knows how important these game days are for the Work to Play program, and by hosting these game days at Reavis, he is making it possible for the Urban Initiatives team to have more games throughout the year. Reavis game days in Washington Park are beautiful games to be a part of! The fact that Coach Berger is still the enthusiastic Reavis Work to Play coach after five years is enough to know the magnitude of his commitment. Coach Berger gets to school 2 hours before it starts so that he can be there to welcome the soccer players and lead them in a rigorous and exhilarating practice. He is never late! Because of his high level of commitment, Coach Berger is able to hold the Reavis team to a similarly high level of commitment on the soccer team and in the classroom. Coach Berger’s passion for coaching is truly demonstrated when he leads his health and character discussions with his students. He keeps the students involved in the discussion by asking key questions and inviting their suggestions for how the team can be healthier and stronger. Coach Berger is passionate about each student being the best person that he or she can be. Finally, Coach Berger’s initiatives has led him to be one of Urban Initiatives’ examples of what a great coach is and does. 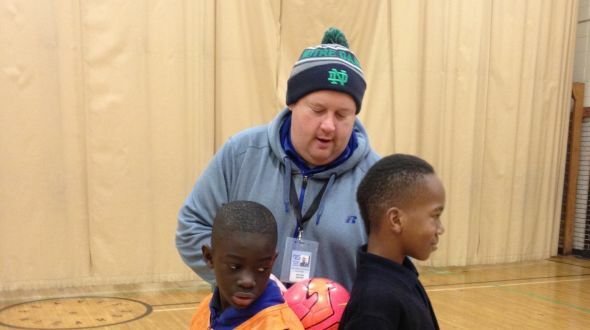 By asking the Urban Initiatives team if he can host games and by making up new, fun soccer games and drills, Coach Berger has been able to keep things fresh and exciting for the Reavis team, ensuring that it is not only him who comes back each year, but all of the players too! The Reavis soccer players look up to, respect, and love their soccer coach, and Urban Initiatives does too! Thank you, Coach Berger, for all of your amazing years of diligent service to the Reavis Work to Play team and the Urban Initiatives team and program! You have made Reavis and Urban Initiatives a better place through your example and hard work!